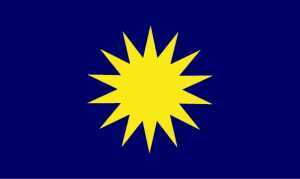 The flag of the Party is a fourteen point yellow star on a blue background. To obtain the colour code of MCA flag, please click here. To listen to the party song, please click here. 8. Together, To Whole-heartedly Promote National Unity.